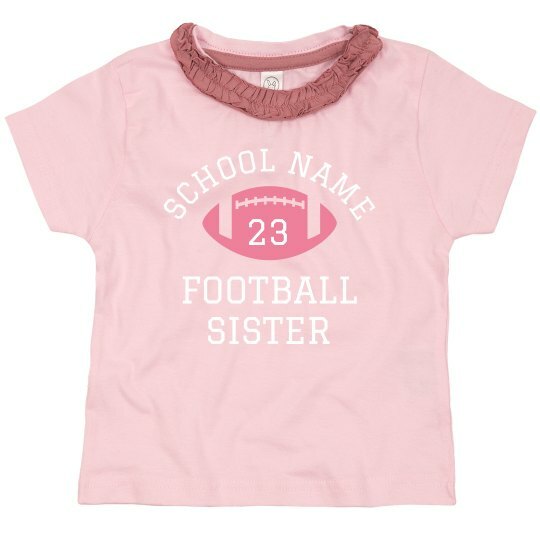 Get your little girl ready for football season, with this customizable ruffle tee. Change the school name and player number to personalize it just for her. It is perfect for game and to show support for their favorite team player.